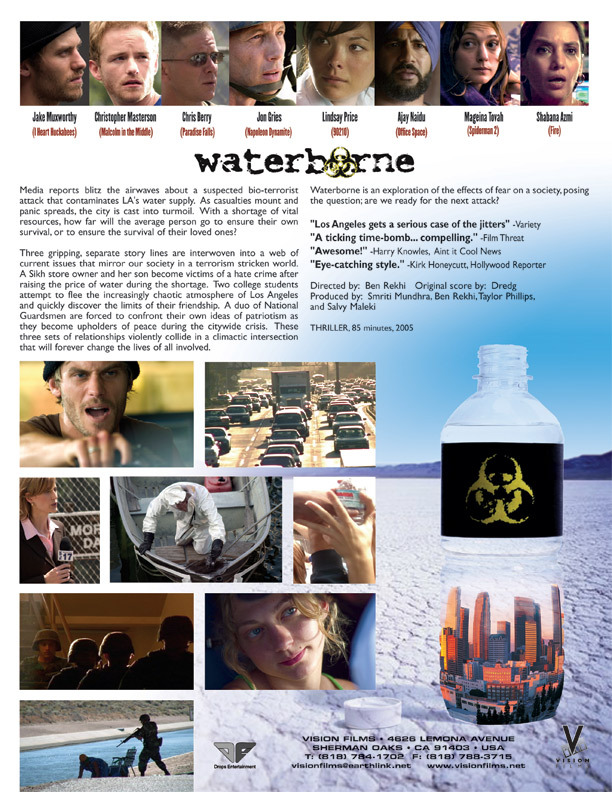 Leading the way in what promises to be a prominent genre in the near future, WATERBORNE addresses what used to be a hypothetical situation: a highly populated urban center under terrorist attack. With a contaminated water source, Los Angeles is cast into turmoil. And with a shortage of vital resources, how far with the average person go to ensure their own survival? Or, to ensure the survival of their loved ones? Using a kinetic and captivating approach, three separate story threads are sewn together in a web of current issues that mirror our modern society. A Sikh storeowner and her son Vikram become victims of racial discrimination after raising the price of water during the shortage. Two college students attempt to flea the increasingly chaotic atmosphere and in doing so test the limits of their friendship. A duo of National Guardsmen are forced to confront issues of patriotism as they become upholders of the peace during a city wide crisis. Making all of these vignettes collide into a climactic intersection, director Ben Rekhi utilizes jarring personal stories to effectively create a sense of mass hysteria in the mind of the viewer. 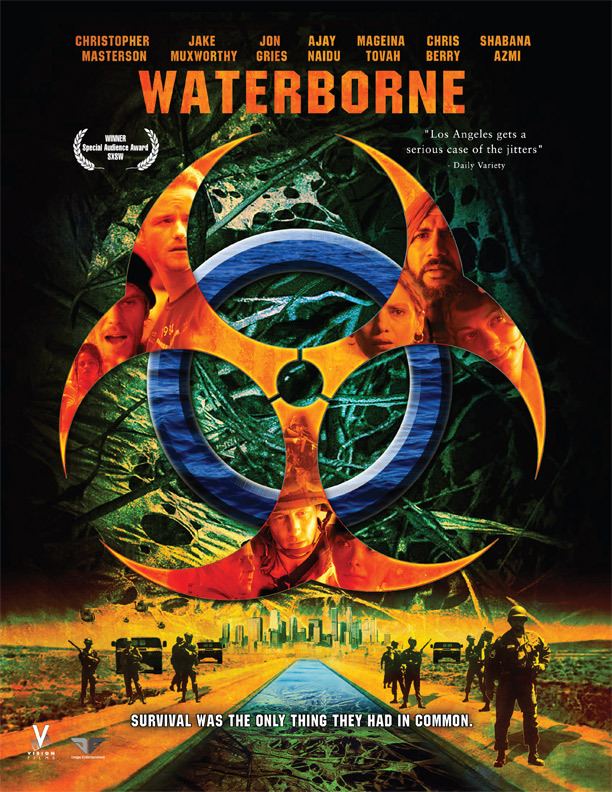 With outstanding performances by the ensemble cast, an thorough display of resourceful filmmaking, and a stark original score by the revered band Dredg, WATERBORNE succeeds in delivering a gripping exploration of the effects of fear on society and on the individual.